Every parent knows that parenting a child is one of the hardest, yet most rewarding, jobs on the planet. Making your way through the murky waters of parenting after a divorce is much easier if you apply some of the following post divorce parenting tips. When you and your spouse have decided to separate, it is important to sit down with your children and discuss your plans with them. You want to make sure to keep the lines of communication open for them and help them feel comfortable asking questions and talking about their feelings. Explain to your children why you and your spouse and are now maintaining separate households. Encourage questions and don't avoid the hard ones, just make sure to answer them in a way that is appropriate to your child's particular age. It is important to make sure your children understand that the problems that caused your marriage to end had nothing to do with them. Children often blame themselves for their parent's failed marriage. After a divorce, children should be made to understand that the way their mom and dad raise them will not change. The only change will be their parents will not live together. Depending on their age, you may be able to sit down with them and explain in detail how the new arrangement will work. Effective parenting is a team sport. You and your spouse will need to present a united front when it comes to decisions to be made regarding your children's welfare. Collaborative parenting after divorce and separation means putting your marriage problems aside and concentrating on being parents. Under no circumstances, should either of you speak badly about the other in front of the kids or argue in front of your children. 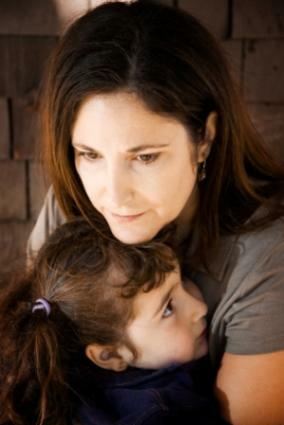 This can cause resentment, fear, and can further any issues the children are dealing with as a result of the divorce. If you must discuss something that may turn into a disagreement, do it when your kids are not around. The benefits of spending time with your children together as a whole family unit are immense. Although this is not always possible, making the effort is worth it, especially if your children are having a hard time dealing with the new family arrangements. However, it is crucial that you make it clear to the kids that spending time together does not mean that you are getting back together. Some parents feel guilty about the breakup and try to make it up to their kids by inundating them with gifts or indulging improper behavior. Do not lower your expectations from your children. This sets the stage for problems down the road. Post marital issues can carry over into your parenting. Co-parenting with an individual that you still harbor negative feelings for can be taxing both mentally and physically. Speaking with a counselor or therapist can help you effectively deal with these issues. In addition, your therapist can provide you with tips on how to handle what your children may be feeling during this time of change as well. Remind yourself that adapting to major change is never easy. Give yourself time to breathe and rejuvenate. Take yoga, rediscover old hobbies, and begin to forge a life for yourself as a single parent. The happier you are, the more capable you are to provide a nurturing and loving home for your children.